Dormant lawns are not the same as dead lawns. 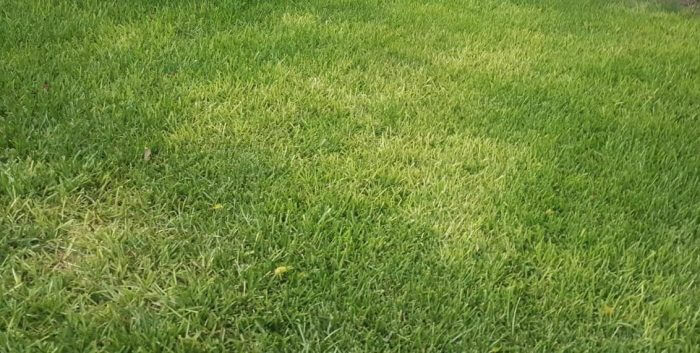 Dormancy occurs when a lawn is under extreme stress. Grass growth stops as it tries to conserve as much energy as it can. Some causes of dormant lawn are winter, drought and improper lawn care practices. With some care, your lawn can come out of this state of hibernation. Let’s explore some ways to help your lawn out of dormant season. Shorten the lawn – stat! Cutting the lawn short or even scalping it if it’s really thick is firmly suggested. What’s scalping you ask? Scalping the lawn means that you cut the grass to the lowest point or nearly the lowest setting on your lawn mower. This removes dormant grass and promotes growth. After you cut or scalp the lawn, bag or rake up the thatch. (Remember – thatch is comprised of partially decayed grass roots and stems. It keeps the actively growing grass from the lawn’s surface.) Getting the dormant grass up and off the lawn is obviously of vital importance to, well, your lawn’s vitality. Aeration is important. It will allow air and sunlight to hit the roots and get everything back on track and growing again. Aerating involves perforating the soil with small holes. This is how the air and sunlight will make their way back into your lawn. Before you get started aerating you should make sure the lawn is moist. Bone dry soil won’t aerate well. The ground needs to be wet for the aeration to take effect. Speaking of watering, if you haven’t been doing this then that’s part of the reason why your lawn has gone dormant. Watering a lawn is important. You must commit to watering your lawn especially during times of extreme heat and drought. In general, lawns need about 1 to 1.5 inches of water per week. You only have to water the lawn once a week, but you should do it to that depth or it’s pointless. It doesn’t help, either, to water more frequently to a lesser degree. It just won’t reach the roots that way. Try watering in the early morning to avoid evaporation from heat and wind. A dormant lawn should be walked upon as little as possible. Any traffic will cause further damage to your lawn. Tell your family and friends, especially children, to keep off the lawn while you’re attempting to revive it. Remember dogs too. The lawn needs to rest and foot traffic just adds stress to the lawn which could show up as bare spots. Keep toys, kiddie pools and other objects off the lawn. Never drive or park your car on the lawn. It can cause the death of your lawn. That’s not an exaggeration. So, if you use the ways to help your lawn out of dormant season, you can do just that. 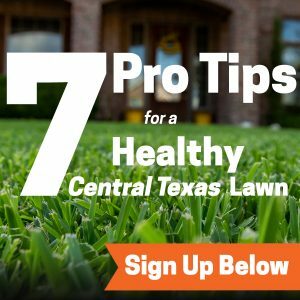 Your lawn will get back to being healthy and beautiful again. If you need any help with this process, we, at Emerald Lawns, are experts at lawn care. Need more proof? Just visit our testimonials page and see what some of our customers have to say.